It’s a must for most sports and recreation organizations to carry Non-owned and Hired Auto Liability insurance, which can be a stand alone policy or part of the General Liability policy. Very few sports administrators understand the importance of this coverage and what they should be doing to protect their insurance carrier from ever having to pay a claim. A non-owned auto is one that is not owned by the sports or recreation organization, but is instead owned by an employee or volunteer or borrowed from an organization such as a church. 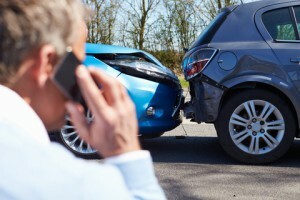 If a non-owned vehicle is involved in an accident while on association business, the following parties can normally be sued: the vehicle owner, the driver, and any organization for whose purpose the errand is being run. In other words, the sports organization can be sued for their vicarious liability of their staff member. Its important to note that Non-owned Auto Liability insurance does not cover the driver or damage to the vehicle. It only covers the association that is the named insured on the policy. The driver will have to rely on his or her own Personal Auto Insurance olicy to provide liability and physical damage protection. I came across some excellent loss control material from Philadelphia Insurance Company on the topic of controlling the Non-owned Auto Liability risk in the sports and recreation context. This exposure represents an infrequent but high severity risk where damages can easily exceed $1 million. The insurance carriers that insure sports and recreation organizations are concerned about this exposure because it’s difficult to collect the proper premium for a low frequency/high severity risk. Sports organizations need to take this risk very seriously and implement the recommended controls. This article is a follow up to a prior posting entitled “Are Athletes at Risk in Chartered Buses?” which exposed the dangers and possible liability risks of hiring a charter bus service without running a background check. MSNBC reports that at least 20 of the approximately 220 commercial bus companies that were fined and ordered to shut down are still running along the highways and byways. Investigators say the companies stayed on the road using different names after being ordered shut down for violations that range from suspended licenses to drug use. Source: “GAO: Unsafe truck, bus firms still on highway,” msnbc.com. 30 Sept. 2009. Sports organizations occasionally rent vehicles for transporting athletes to out-of-town games and tournaments or officers to travel out of state on business. If a Non-owned and Hired Auto Liability policy is in place, it will not respond to damage to the rented vehicle itself. 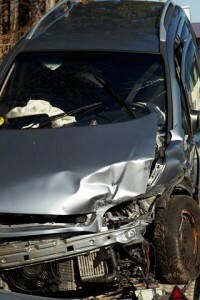 Purchase Collision Damage Waiver from the rental car company. This is the safest course of action to follow as it will often pay for 100 percent of the damages. The cost of this coverage typically ranges from $15 to $30 a day. The difference between actual cash value and replacement cost in the event the vehicle is totaled. Loss of profits to the rental car company while the vehicle is out of the fleet being repaired. Rely on credit card benefits for physical damage. The terms of credit card benefits vary greatly. This is a complex area and consultation with an insurance professional is recommended prior to vehicle rental. Are Athletes at Risk in Chartered Buses? A recent report by ESPN indicates that charter bus safety is an issue for college athletes who are being transported to competitions. Due to the propensity for tipping over and structural integrity problems of 15-passenger van, college athletics departments began using charter buses more frequently in recent years. Charter buses are statistically safer than 15-passenger vans, but the number of bus crashes climbed from 8,555 in 2003 to 13,195 in 2007. Over this five year period, there were 1,651 fatalities. Most athletic department administrators hire charter buses on the basis of price and availability, rarely paying attention to safety records. However, experts recommend that safety records be given top priority All athletic departments should refer to the Federal Motor Carrier Safety Administration website and click on “search company safety records.” The safety record of a charter bus service can be referenced if you know their DOT number. Another commonly used test of safety is the SafeStat score, which focuses on both drivers and vehicles based on tickets, accidents, and violations found during roadside inspections. A score 75 or above is considered deficient. Examples of common safety violations that raise red flags include reports of crashes, driver violations, worn tires, unqualified drivers, failure to record entries in logbooks, driving without adequate rest, allowing drivers to drive prior to passing drug tests, and inoperable emergency exits. It is my opinion that potential legal liability exists for athletic departments that subcontract out their transportation to charter bus services without first checking their safety record to verify adequacy. Read ESPN’s full “Outside the Lines” article by Paula Lavigne. When vehicles in use for business pertaining to a sports organization are involved in an accident where the passengers or other third parties are injured, the sports organization may be vicariously liable. This means they can be included in any lawsuits arising out of the accident. Injured parties often seek out the sports organization as a deep pocket when the owner of the vehicle is uninsured or underinsured. This is why sports organizations need Non-owned and Hired Auto Liability to cover their liability arising out of the use of vehicles that are not titled to the sports organization. A non-owned auto is an auto that is not owned by the sports organization but is instead owned by an employee or volunteer who runs errands or transports participants at the direction of an authorized league official. Sports organizations benefit from the use of non-owned vehicles. Non-owned Auto Liability covers the sports organization itself but does not normally cover the individual vehicle owner or driver. Individual vehicle owners or drivers must look towards their own Personal Auto Policy for coverage. A hired auto is either borrowed (ex: church van or school bus) or leased from a rental car company. Hired Auto Liability protects both the sports organization and driver from liability arising from an auto accident when a vehicle is borrowed or leased. It is important to note that Hired Auto Liability does not provide any coverage for damage to the rental vehicle itself. Non-owned and Hired Auto Liability can be obtained on either a Business Auto policy or a General Liability policy. However, the insurance carriers are reluctant to write these coverages for sports organizations due to the potential for high severity and the fact that sports organizations typically don’t implement loss control protections. Basic loss control protections include driver screening by obtaining acceptable Motor Vehicle Reports and requiring that employees provide evidence that they carry a Personal Auto Policy with limits of at least $300,000 combined single limits. In addition, many insurance carriers are reluctant to extend coverage on the rental of 15-passenger vans due to their documented propensity for tipping over. The actual policy language must be carefully reviewed for these restrictions.